A dozen states are considering laws that require abortion clinics to provide ultrasound images for women seeking abortion. Obstetric ultrasound is a safe and noninvasive procedure using high frequency sound waves to provide a picture of the moving fetus on a monitor screen. A "transducer" is placed on the abdomen and moved to capture different views inside the uterus. The fetal heartbeat can be viewed as early as four weeks, and other fetal measurements can be made accurately from the images on the screen. Opponents of these laws, like the editors at USA Today, say the ultrasound mandates "cross a line" and force "unnecessary medical procedures" on women. Yet the reality of abortion in America suggests this rhetoric is off the mark. The fact is, ultrasounds are used today by abortion clinic doctors (they actually make abortions safer) but the screen is turned away from the woman. Proponents of bills like the one in Florida believe, quite simply, that the information an ultrasound provides ought to be in the hands of the person who is making the abortion decision, not only the person who stands to profit from it. And there is plenty of evidence to suggest that the information an ultrasound provides is relevant and meaningful to that decisionmaker. Various studies suggest that about 80 percent of women change their mind about abortion after seeing an ultrasound. If women themselves say ultrasounds make a difference, "prochoice" politicians shouldn't stand in the way of making this information available. Some charge that providing ultrasound images equates to emotional blackmail for a woman who has already made an agonizing decision, but a recent study published in the European Journal of Contraception and Reproductive Health Care would suggest otherwise. In an article entitled, "Women's perceptions about seeing the ultrasound picture before an abortion," the authors report that women presenting for medical and surgical abortions at two urban clinics were asked if they wished to view an ultrasound image. Of 350 participants, 72.6 percent chose to view the ultrasound and, of those, 86.3 percent found it a positive experience. Abortion proponents could adopt this standard of practice voluntarily, of course, but they won't. Abortion clinics are for-profit ventures, and notoriously underregulated — animal hospitals and beauty salons are better regulated than some abortion clinics. They will always oppose laws that strengthen a woman's right to know because when women are empowered, they tend to choose life for their children. That's good medicine, but bad for business. Cathy Ruse is senior fellow for legal studies at the Family Research Council. 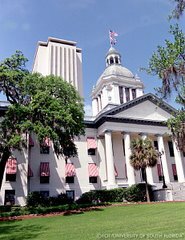 An article yesterday in the St. Petersburg Times touts a poll that indicates Floridians are opposed to the Pro-Life bill HB 1143. However, closer scrutiny of the question that the poll asked reveals why the poll results were most likely skewed by the biased question. The Ultrasound bill question that Ipsos Public Affairs presented to callers painted a vastly biased and misinformed characterization of HB 1143 and the choice that the bill provides to women seeking an abortion. The question makes it sound like the ultrasound is some new cost imposed on women, when in reality, most abortion clinics charge for an ultrasound now to determine the age of the baby and never provide that information to the woman. In other words, she is paying today for a service that benefits the abortion doctor because he determines from the ultrasound how large the baby is and how much more he can charge the woman for the abortion. The poll question also falsely claims that the woman will be forced to view the ultrasound and listen to a description of the ultrasound. In reality, the bill provides every woman the option, for any reason, to deny the opportunity to view the image and have the ultrasound explained.